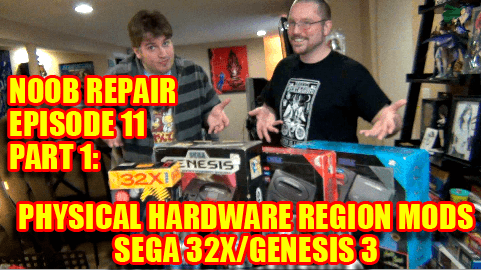 Similar to the Super NES region mod that we did, Eric returns to help out with a simple case modification on a vast array of Sega products! This is a step by step tutorial to physically mod your system so Japanese cartridges can fit in the consoles. This does not mean you can play every Mega Drive game from any region, ever made, as there are certain restrictions on the games. We’ll go into that on the next episode.